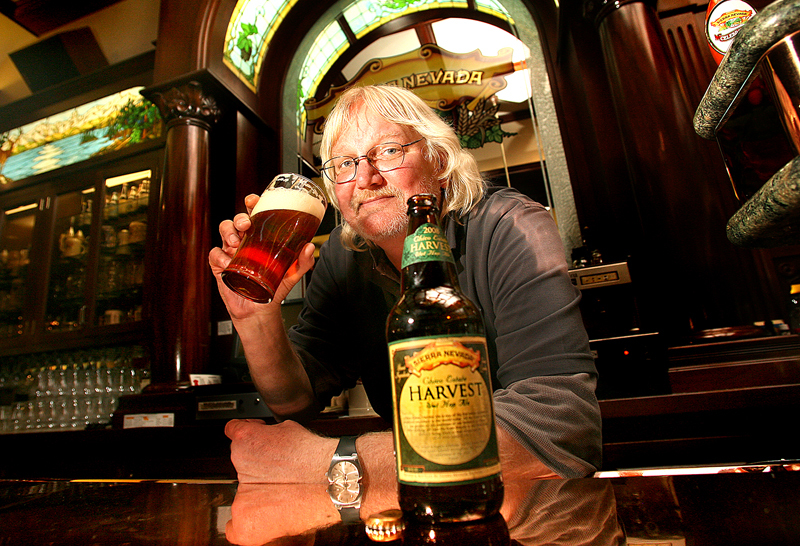 Sierra Nevada Brewing Co. and brewmaster Steve Dresler first produced a wet hop IPA in 1996. Photo courtesy Sierra Nevada. Editor’s Note: This is an excerpt from a feature story on wet hop beers, which are harvest beers brewed with unkilned hops that have to be shipped to the brewhouse in less than 24-48 hours. Read the whole story. The origins of one of the earliest, and most influential, wet hop beers in America took place more than 15 years ago. Sierra Nevada brewmaster Steve Dresler was meeting with his good friend and hop merchant Gerard Lemmens when Lemmens asked him if he had ever considered making a beer with green hops. While Sierra Nevada had been making Celebration Ale, brewed with fresh dried hops from the current year’s harvest since 1981, the brewery had never attempted this kind of beer, which would require getting the hops from the hopyard to the brewhouse and into a beer or cold storage within 24 hours, ideally. Intrigued, Dresler talked to Sierra Nevada founder and CEO Ken Grossman, and the next harvest season he worked with one of his hop suppliers (“He thought I was crazy”) to ship wet Centennial and Cascade hops via UPS Next Day Air, packaged in pellet boxes with holes poked in the sides to allow the hops to breathe. “I was brewing that morning when the UPS guy pulled in, and I went out to meet him and he said, ‘I don’t know what the hell you guys have going on here today, but this is quite a delivery.’ And he opened up the back of the van and it was floor to ceiling, these brown boxes,” he says. In the first year, 1996, Sierra Nevada produced a small batch—about 100 barrels of Harvest Ale; today it brews about 2,000–3,000 barrels of what is called Northern Hemisphere Harvest Ale, a 6.7% wet hop IPA released every September, brewed with two semi-trucks’ worth of wet Cascade and Centennial. 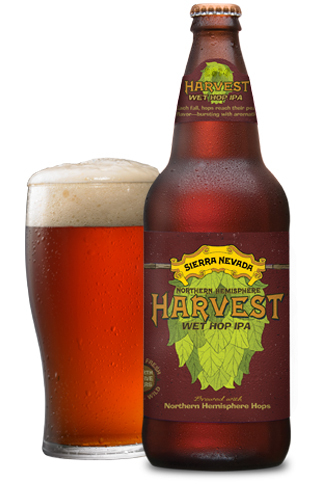 Meanwhile, Sierra Nevada has continued to innovate: It also produces a second wet hop beer, Estate Ale, brewed with organic wet hops and barley grown at the brewery in Chico, as well as a line of harvest beers, featuring new and experimental hop varieties. It also flies up just-harvested fresh dried hops from New Zealand for its Southern Hemisphere Harvest IPA. And what began as a simple question has developed into a popular harvest seasonal and a celebration of the hop harvest—first, in the hop country of Pacific Northwest, but also nationwide as breweries fly, truck and drive in wet hops. This is an excerpt from a feature story in the November 2014 issue of All About Beer Magazine. Click here for a free trial of our next issue. how do I get some in Melbourne florida? Jeff- send your message to [email protected] and they will get you in touch with the local rep in that area who can direct you to the nearest liquor store with these beers. If say I live in Niagara Falls, Canada where do I get my hands on some of your fantastic beer?! Although Sierra Nevada are usually credited as being the first US brewery to brew the style, there’s an intriguing reference in a Michael Jackson article in 1993 (Google “The glass of ’93 blossoms early”) which is mostly talking about Wadworth’s first green hop beer in 1992 but which has an aside about an unknown brewery on the West Coast doing one at that time. Obviously green hop beers have been brewed long before the first oasthouse was ever built (I’ve seen written references in British brewing books from the 1750s, Google “green Hops off the Vine”) but the recent revival in interest has been encouraging. They have to be really fresh though – most brewers in Kent reckon that hops turn to compost within 12 hours, ideally you want to brew within 4 hours of picking. It’s easy for them though, they can start the boil and then go out to the farm to pick up the hops! The full story is that a couple of years prior to meeting Steve Dresler, I had visited Trevor Holmes who then was the Headbrewer of Devizes brewery in the U.K. Trevor asked me the question – How Gerard do I get more hop aroma in my beer – ?? I thought a few seconds and then replied – by using green (Undried) farm hops as they contain all the aroma. A lot of Hop aroma is blown away by the drying of Hops on the hop farm especially as some farmers (for economic reasons?) use temperatures which are far too high, hence the hop volatiles are lost ! I very much appreciate that Steve Dresler and Sierra Nevada Brewing company always make reference to me on this subject of the use of green hops ! !